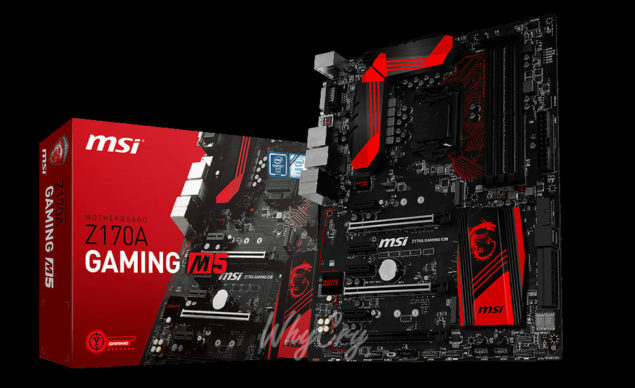 Three new MSI Z170 chipset based motherboards have been unveiled. The boards that have been revealed, include the MSI Z170A Gaming M9 ACK, Z170A Gaming M7 and the Z170A Gaming M5. 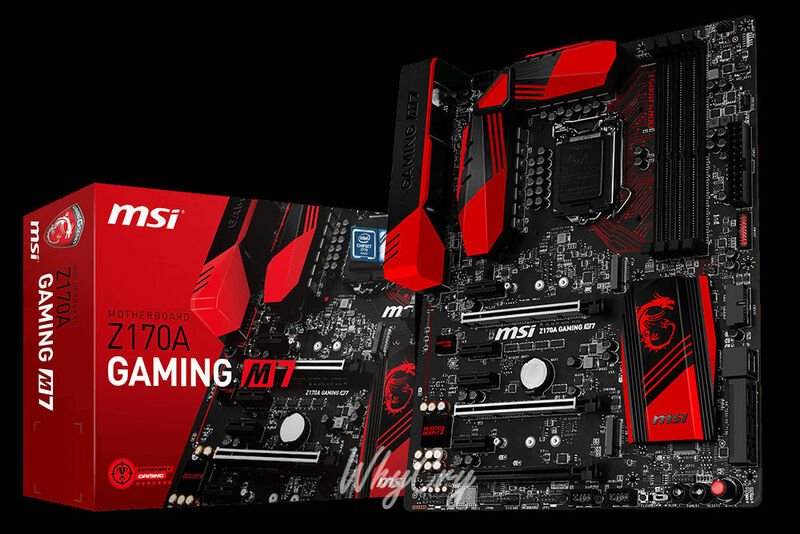 These new boards will be part of the MSI’s Gaming family and are placed in the Enthusiast Gaming stack which we detailed yesterday was kept for the high-end products that are loaded with features and aimed at performance users. 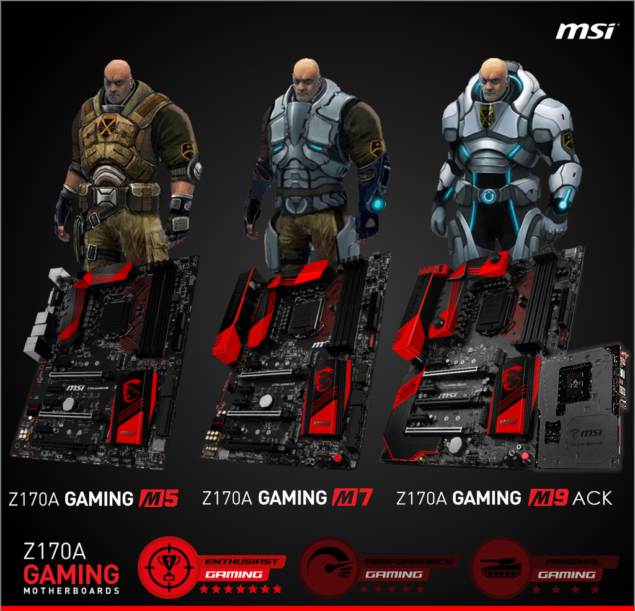 So far, we have seen four motherboards from MSI that include the MSI Z170A KRAIT Gaming, Z170A Gaming Pro, Z170A-GD65 Gaming and Z170A-G45 Gaming. Of all the motherboards, just one of them had a different color scheme aside from red and black and that was the KRAIT with black and white colors. 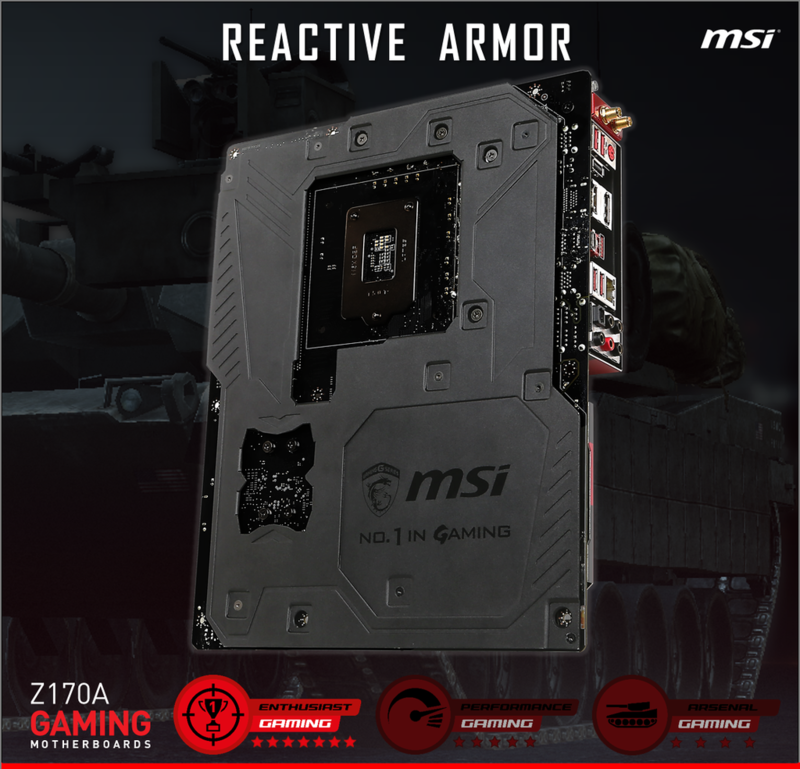 The MSI Z170A Gaming Pro also stands out from the rest of the bunch since it comes with a fully customizable RGB LED strip that transforms the motherboard into an E-ATX form factor, even though the board itself is quite standard in terms of features and comes with legacy PCI slots. The other three boards that we will be talking about today, also share the red and black color scheme but are high-end boards in the Z170 product stack. 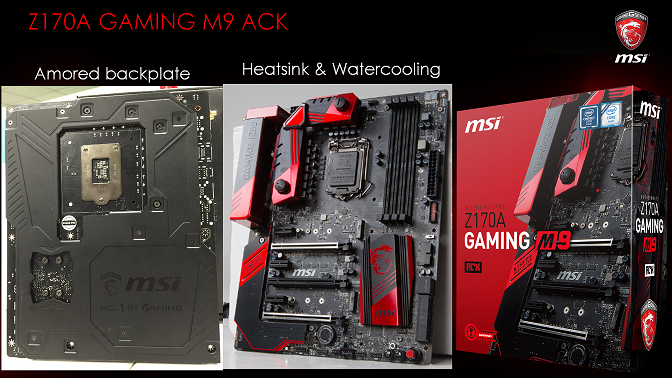 The Z170A Gaming M9 ACK variant features a cool grey back-plate, with a liquid cooled and loop ready VRM heatsink. It also has Killer ACK WLAN chip. There are a total of 4 USB 3.0 ports and even 1 Type-C USB 3.1. 7.1 Channel Audio is also present with an SPDIF, PS/2 and SATA-E port. It features a total of 3 PCI-e 3.0 slots, one wired for x8 and two wired for x16 (white colored). There are also 3 PCI-e x1 slots present. The Z170A Gaming M7 houses an upgrade from its sibling with a 14-phase CPU VRM. A “Game Boost” rotary one step overclocking knob that up clocks the CPU and memory in 11 iterations is also present and ofcourse you will find this motherboards has better onboard audio. Once again there are 4 PCIe x1 slots present and two PCIe 3.0 slots wired for x16 and one wired for x8. The Z170A Gaming M5 has a 10-phase CPU VRM with beautiful heatsinks along with the usual 3 DIMM slots. There are a total of 3 PCIE 3.0 slots with two wired for x16 and 2 wired for x8. gTen SATA ports (including two SATA-Express 16 Gb/s), two M.2 slots (both 32 Gb/s), and AudioBoost III audio, with Killer E2205 GbE. It also has 4 PCI-e 1x slots.